The Governing Board provides general guidance and decision-making capability for the Aquaculture Program and consists of faculty and researchers associated with MLML and various partners in the California State Universities. In addition to the Governing Board, an external Advisory Council consisting of industry, agency, legislative, and other stakeholder representatives will be formed to provide additional guidance and to advise priority setting and activities. 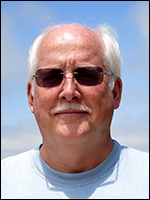 Dr. Graham is a Professor of Marine Ecology at Moss Landing Marine Labs. He teaches courses on Marine Ecology, Biology of Seaweeds and Aquaculture and is primarily interested in how the culture of algae can benefit commercial aquaculture systems through the reduction of nutrients and the increased diversity in commercial products. Dr. Graham and his students are also interested in the effects of climate change on kelp systems, with current projects on phenotypic plasticity, ecosystem functioning, and ocean acidification, the latter through a California SeaGrant project in collaboration with Dr. Scott Hamilton. 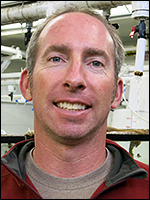 Dr. Hamilton is an Assistant Professor of Ichthyology (i.e., fish biology) at Moss Landing Marine Labs. His expertise involves studies of population biology, life history variation, and species interactions in temperate and tropical settings, using techniques to measure age and growth, physiological performance, condition, and diet. Current projects include studying the effects of climate-induced changes in water quality (e.g., ocean acidification and hypoxia) on the behavior and physiology of juvenile rockfish, abalone, and seaweeds. In addition, Dr. Hamilton is interested in developing integrated solutions to mitigate the effects of climate change on fish and shellfish aquaculture. Dr. Lee is a physical geographer who originally specialized in hydrology and water resources management. He graduated with a Ph.D. from the London School of Economics in 1989 where he modeled watershed runoff harvesting systems in arid regions. After several years consulting in the Netherlands, Africa and California, he taught natural resources management and planning at the Pan-American School of Agriculture (Zamorano), where he ran the Honduras-portion of the Sustainable Agriculture and Natural Resources Management CRSP, conducted and supervised research on integrated sustainable watershed management, water quality monitoring, and aquaculture sustainability among other areas. With this broader perspective, he has taught at CSU East Bay since 1996, developing a range of courses related to various aspects of sustainability (food, water, buildings and infrastructure, etc.) and doing research and consulting on various water- and food-related issues. His most recent consulting work has involved developing and applying sustainable seafood assessment indices for land- and marine-based aquaculture systems for a leading sustainable seafood brokerage. 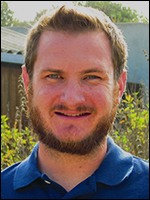 Jason Adelaars is an Instrument Technician at Moss Landing Marine Labs. Data quality and consistency are important factors in the operation of the aquaculture facility. As Instrument Technician, Jason Adelaars performs routine maintenance and calibration of the seawater monitoring system, as well as data management and dissemination of the observed seawater conditions. He is committed to providing facility users with accurate, real-time measurements of seawater from the various aquarium tanks. Jason has been maintaining Moss Landing Marine Lab’s industrial intake seawater monitoring station since September 2013. Prior to his current position, he worked as a data analyst for the Association of Monterey Bay Area Governments; Central and Northern California Ocean Observing System; and Institute for Applied Marine Ecology. Jason received a Masters in applied marine science from CSU Monterey Bay and a Bachelors in environmental science from UC Riverside. Between earning these degrees, he worked as a staff scientist for an environmental consulting firm. 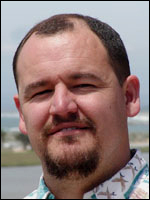 Dr. Smith, PhD, is a Research Faculty managing the Environmental Biotechnology Lab at MLML-Norte. Dr. Smith’s research has centered around studies of the physiological ecology of marine algae (macro- and micro-), as well as microbial ecology, utilizing a diverse array of technologies ranging from state-of-the-art methodologies in molecular biology through whole organism physiology to rigorous lab and field performance verification of new generation water quality monitoring sensors through his on going association with the national Alliance for Coastal Technologies. Dr. Smith envisions the MLML Aquaculture Facility as an opportunity to apply his expertise with microbial physiology to expand training in algal biomass production through optimization of growth conditions and application of state of the art technologies (including ‘omics approaches) for biochemical assessment of biomass quality and yields. His lab group will also support application and development of genetic marker assays for strain identification and tracking during aquaculture production cycles. Dr. Edwards is a coastal marine ecologist who specializes in rocky reef ecosystems throughout the Northeast Pacific Ocean. 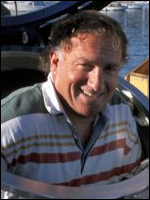 He received a BA in Aquatic Biology from UC Santa Barbara in 1990 and a MS in Marine Science from MLML in 1996. He graduated with a Ph.D. from the University of California Santa Cruz in 2001 where he studied spatial scales of community organization in kelp forest ecosystems. 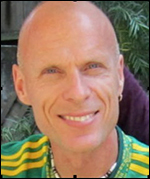 He joined the faculty at San Diego State University in 2002 where he teaches courses in Marine Biology, Biostatistics, and General Ecology. His research has since focused on benthic ecology, with special attention to how coastal ecosystems respond to environmental disturbances over broad geographic regions and how ecosystem functioning is impacted by widespread losses of foundation species. His most recent work has focused on examining ways to sustainably harvest kelp in California and Chile, and identifying aquaculture techniques that will aid in replenishing wild stocks of abalone that have declined in recent decades. This has involved working with aquaculture facilities to study how different parental diets and larval rearing conditions impact adult fecundity and larval settlement, respectively, and whether the outplanting of laboratory-reared juvenile abalone is a viable method for enhancing their populations in the wild. 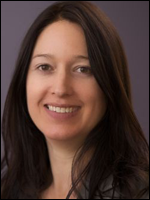 Dr. Pitchon is an assistant professor of applied cultural anthropology at San Jose State University. Her expertise is in marine fisheries and marine resource-dependent communities. 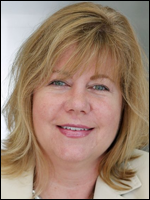 Her specialties include resource sustainability, adaptation, and community resilience. She has worked extensively in coastal California, and has also conducted research in Mexico, Argentina, Chile, Denmark, Spain, Puerto Rico and the U.S. South Atlantic, where she was a contract anthropologist with the South Atlantic Fisheries Management Council. Her current research is interdisciplinary, looking at ecosystem change due to sea star wasting disease and the associated long-term well-being/quality-of-life of commercial crab fishermen in WA, as well as a socio-economic assessment of diversification measures among commercial fishermen in the west. She is planning to investigate resilience indicators within the transition to aquaculture from commercial fishing as a means for resilient marine resource-dependent communities in California. 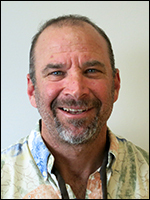 Dr. Starr is the Director of the UC Sea Grant Extension Program and a Research Faculty member at Moss Landing Marine Labs. His work is focused on the biology and ecology of fished species and finding solutions to marine conservation problems. Much Dr. Starr’s current research entails developing and testing new tools and techniques to identify the distribution and abundance of species and habitats, understand fish movements, and describe changes in fish abundance through time. He and his students conduct acoustic and video surveys of continental shelf fishes, use acoustic transmitters and receivers to tag and track fishes, and work with anglers to evaluate changes in marine protected areas. Dr. Starr’s interest in aquaculture stems from a belief that we have reached the limit of fishery resources that can be captured from the ocean for food and that future generations of people will need to rely greatly on aquaculture for seafood. Dr. Kamer is the Director of the California State University Council on Ocean Affairs, Science and Technology (CSU COAST), the umbrella organization for marine and coastal-related research and educational activities within the CSU. COAST was established in 2008 to bring together the collective expertise and resources of the system to advance our knowledge of coastal and marine resources and the processes that affect them. Dr. Kamer holds a Ph.D. in Biology from UCLA where she studied the effects of various environmental factors on macroalgal production and accumulation in southern California estuaries. After serving as a staff scientist at the Southern California Coastal Water Research Project (SCCWRP) from 2000-2003, she joined the CSU as a research scientist and then transitioned to management of several large-scale ocean observing programs before launching COAST seven years ago.